Britannia, an Indian food-products major, has decided to enter the Snacking category. 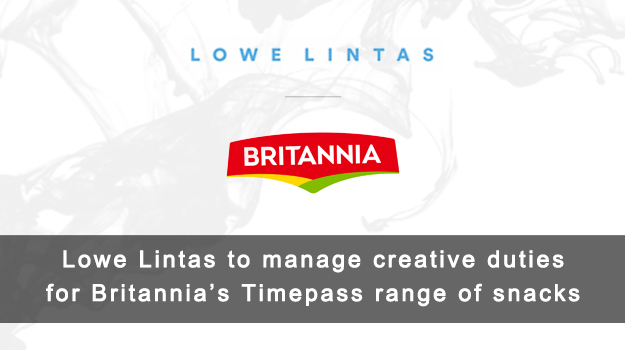 Lowe Lintas will provide the creative thrust that will propel the entry of Britannia in this new category. Lowe Lintas was awarded the creative mandate after a multi-agency pitch process. Snacking is one of the largest and fastest growing sub-categories within the food category in India. The category, worth Rs. 24,000 crores, is witnessing a lot of new players entering the market. The snacking market is projected to grow annually at a CAGR of 7.5% till 2023. Britannia plans to enter the category with Timepass – a range of baked snacks in exciting formats and flavours. It is noteworthy that Lowe Lintas currently handles the creative duties for a large share of Britannia’s portfolio, and this appointment only fortifies the brand’s faith in the consistently effective work delivered by the agency. The account will be handled out of Lowe Lintas Bangalore, and the scope entails building on and offline brand campaigns for Britannia’s Timepass.